The G Minors are a group of talented and passionate musicians representing the Gopalan International School. These kids have won quite a few inter school music competitions in Bangalore and have done events at the Signature mall and the Phoenix mall recently. The G Minors Motto is PASSIONATE ABOUT MUSIC and one can see and feel their passion every time they take the stage. Keith Peters is a professional Bass guitarist and musician. He has been a studio and a live performance musician in the Indian film and popular music industry for over 30 years with an illustrious music career to date. Keith occupies the most coveted spot in the film and popular music industry. Oscar and Academy Award winner A.R Rahman chose Keith above any other musician to be his permanent muse on the bass guitar. Keith has played on almost every film score by A.R Rahman and has toured the world over with him. Keith also plays for a number of other famous Indian film music directors like Harris Jayaraj, Yuvan Shankar Raja etc. The India Today Magazine named Keith as one of the top 10 musicians in the country in the year 2006. Keith has also performed with the royals of Indian music such as Zakir Hussain, Hari Prasad Chaurasia, Dr. L. Subramaniam, Louis Banks, Ranjit Barot, Amit Heri, singer Karthik, Ganesh--‐ Kumaresh, Vasundra Das and a host of others. 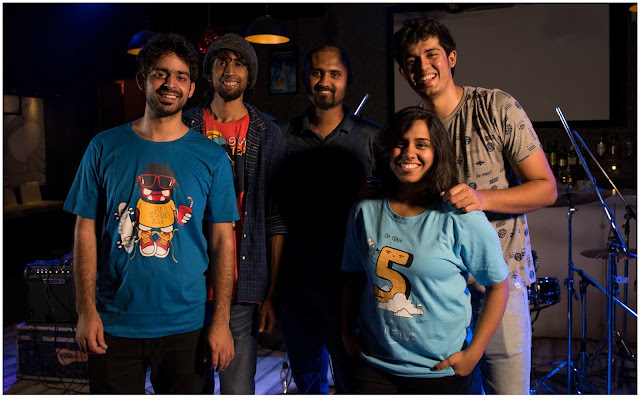 Other performance credits include Chennai based rock, pop, fusion and jazz bands. In 2008 Keith performed at the Java Jazz Fest in Java, Indonesia alongside the famous jazz guitarist from the USA, Vinnie Valentino.